Education technology is so in trend now. Its terrain is steadily widening and more and more aspects of teaching-learning are assisted by it. Besides, every school, college, and university wants one, and they all need it to be highly complex. 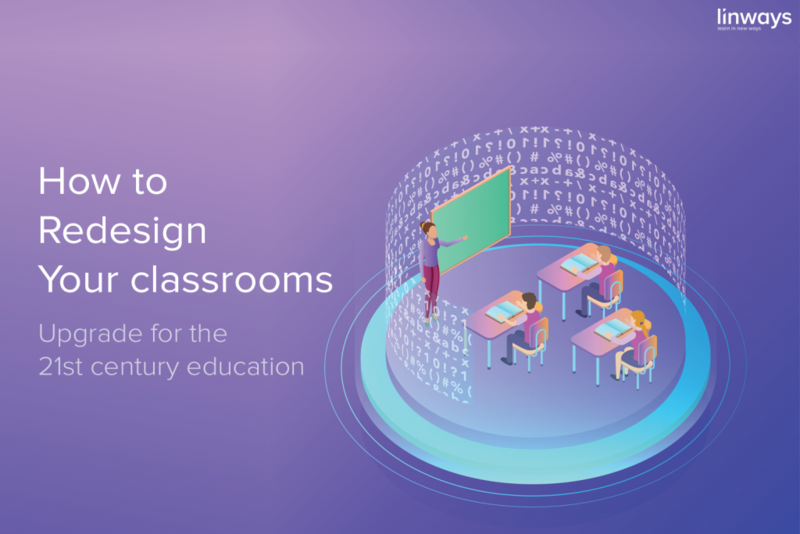 Tons of features, cloud-based technology, minimal manpower, and automation attracts everyone to this new emerging tech boom in the education industry. But why does teachers still find it hard to use an edtech platform, and, if had a choice, decides to take things into their own hands and do everything manually?? We, being in the edtech industry, has decided to take up this issue and write a blog about it. 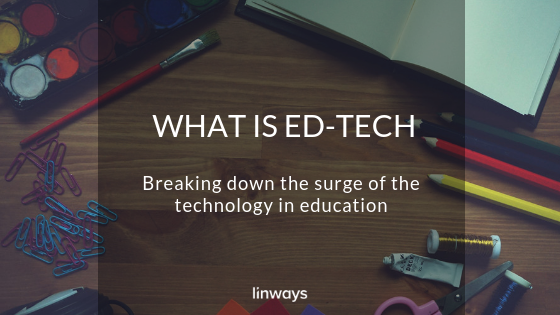 To make things clear, we’ll discuss some of the most common edtech platforms, along with our interpretations on them. It might be safe to say that education technology is not something new. In fact, there has been efforts and solutions for education-related pain points from the very beginning. From the simple act of scribbling down what has been taught for later use in the form of hieroglyphs and using abacus to the invention of paper, printing press, and computers, education technology has travelled a far from the reaches of the history. However, edtech, as we identify today came with the blending of computers and internet with the academics to make the learning experience better. Slow but the steady rise of online learning has contributed greatly to this trend, and today, MOOCs represent a vast community of self-paced learning around the world. To get the bigger picture, the number of MOOCs offered has risen around 2500 in the last year alone. With millions of people depending on online courses as a secondary source of learning, the digital age has truly made its stand clear in the field of education. On the other hand, assisted tools for the regular classroom education ages beyond the dawn of century. There has been computer assisted learning experiments dated back as far as 1954! Today, many schools, colleges, and universities from around the world uses technology-assisted learning to improve their quality and to reach a more younger audience who’re deeply rooted in technology-assisted living. As of a study from 2015, 92% of students from around the world were interested in personalized messages and notifications about their course and academic resources from around the world. There are a wide variety of tools and mechanisms you could choose from to assist, manage, and automate your teaching-learning activities today. With the influx of online-based developments and lesser creativity constraints, the edtech domain has exploded with online courses, blended learning, management softwares, automation platforms, communication channels, personalised assisting tools etc. MOOCs and online learning are fairly easy to comprehend, and most are familiar with those. So, here we intend to discuss tools like Academic management Systems, ERP system, and Learning management Systems for the lack of better knowledge sources in the web. Stick with us till the end, and we’ve curated some other knowledge guides that are waiting for you. An erp system for education works differently. It mostly focuses of the administrative aspects like planning, purchasing, inventory, finance & human resources. Though it does not directly contribute to the education or academics, having an ERP system does help to automate and manage the administrative aspects of the institution with relative ease. 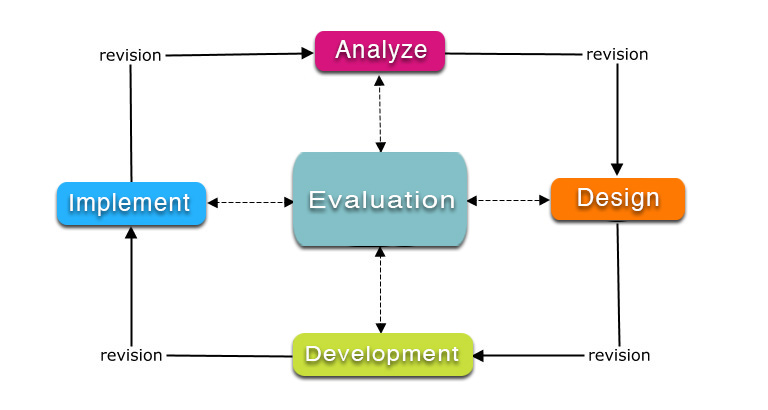 ERPs are essentially about data manipulation and process documentation. You can generate reports and watch progress in an erp. But these systems tend not to work well when it comes to core educational practises, like taking insights, implementing learning theories, assisting the teaching-learning etc. LMS, or Learning Management Systems, on the other hand, represent the other end of the spectrum. They work too well for the core academic-related aspects including teacher’s workflows, lesson plans, collaborative assignments, online learning assists etc. However, an academic institution has both the essence of education and management, and core learning management only solves half the problem. We need both the administrative tools to relieve the workloads and learning management tools to ensure quality in teaching-learning. An AMS, or Academic Management System is a blend of the previous ones. Its addresses both the academic and the administrative aspects to make a powerful impact and assert influence. An AMS lets you efficiently manage your institutional academic activities without fuss. It lets you save time, relieve workload off the stakeholders, and create workflows to optimise education with minimal technology overheads. It basically begins from data management, where you enter the institutional data and the system creating reports and helping you form insights from it. Later on, it also lets you manage the clerical tasks that clogs up time and wastes energy from everyone when it can be simplified or automated. Students and faculty can plan and prepare for their courses, communicate, and find assists to raise quality and assure better results through AMS. Though there are no standard versions accepted worldwide, these are some of the basic elements of an AMS commonly found. However, these are just some common trends observed in the industry and are not conclusive. Since these terms are rather elaborate and open for creativity in development, there might be a product that calls itself an LMS but displays the characteristics of an ERP out there. You can only be sure by actually inspecting them using your own judgement, and to choose from what’s available based on what you need and what’s best for your institution. Like we said, here’s that special curated teaching-learning resources for you. A brief introduction to Learning Theories. We discuss learning theories here. You can learn and take inspiration from these while teaching your students and planning for your next term. 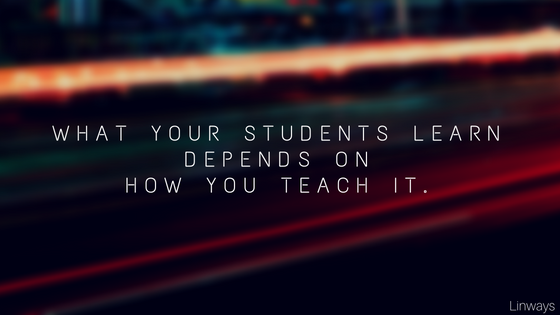 What your students learn depends on how you teach. 'How you teach' influences how the learner understands the topic, and retain the information. There are several ways to teach, and be really good at it. 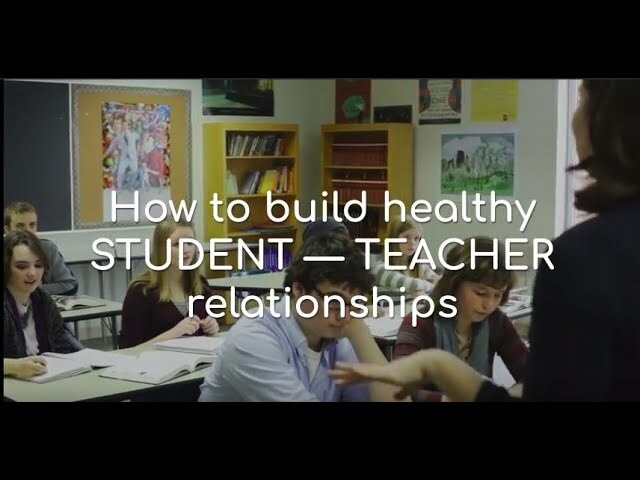 5 ways which you can try if you want to create better connections and bond with your students. As we said, these views we’ve expressed are based on our own experiences from being in the education industry and connecting with teachers, academicians, and industry experts. We’d love to hear the feedback from you on these, and you’re welcome to suggest and express your views at the comments section. June 8, 2016 Does Indian education support Innovation?? Indian education is unable to induce a will amongst the students to step up for an innovative venture. 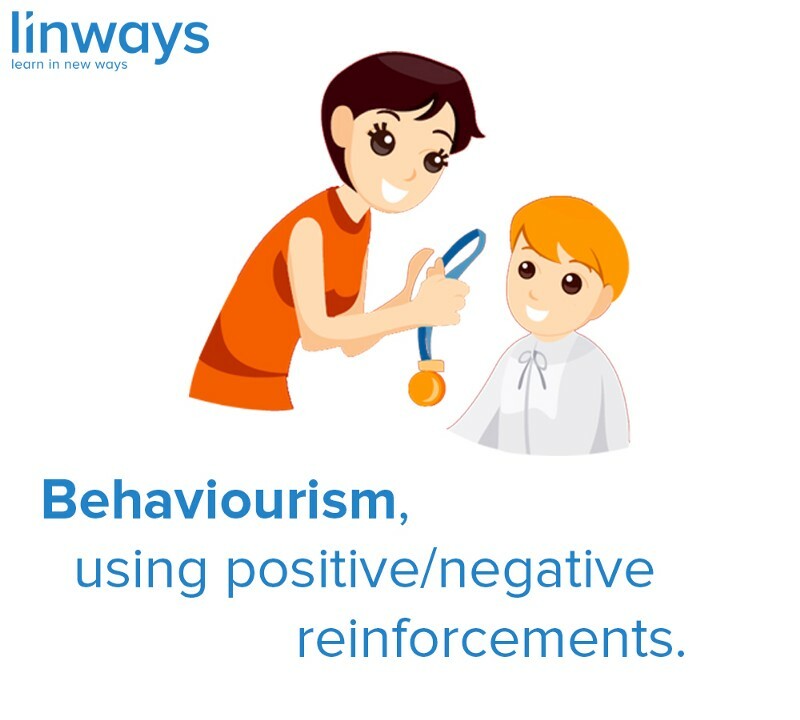 © Linways Technologies Pvt. Ltd.